Can they help solve the skills gap? 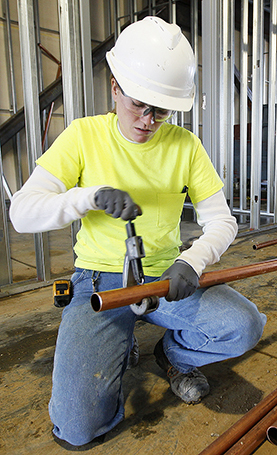 Apprenticeship programs offer on-the-job training and specialized education for young adults just starting a career. While apprenticeships have long been popular in construction and low-tech manufacturing, they are growing in use in fields requiring workers with good technical skills, such as advanced manufacturing, health care and information technology. The federal government has funneled hundreds of millions of dollars toward apprenticeship programs, yet the number of apprentices remains tiny: about 450,000 in 2015 in a civilian workforce of 160 million. Many companies are unwilling to spend the thousands of dollars needed to train an apprentice, and many young people prefer a traditional college education and career path over an apprenticeship. Bipartisan bills to award tax credits to employers offering apprenticeships are stalled in Congress. Apprenticeships also face headwinds in Europe, where the concept is centuries old. German companies are having trouble recruiting enough qualified apprentices, and in the United Kingdom businesses are fighting a payroll tax earmarked for apprenticeship programs.